It seems like I am writing these posts one by one today, but you know me. I wether work like crazy or leave stuff behind and then have to start picking it all up :) Now is this exact time. I wanted it to look like brown leather as my client did send me the actual brown leather kindle cover. So it needed to match. Therefore I used Living Doll by Sculpey ( which is a dyeing dinosaur now and is not produced anymore...) and decided to create an wonderful, center orientated composition of a bird that is protecting the forest leaves with it's wings and is surrounded by all sorts of magical orbs, swirls and other elements. The main focus point is an absolutely gorgeous aqua-green labradorite crystal that has these amazing vertical lines that so reminded me of the pine forest. 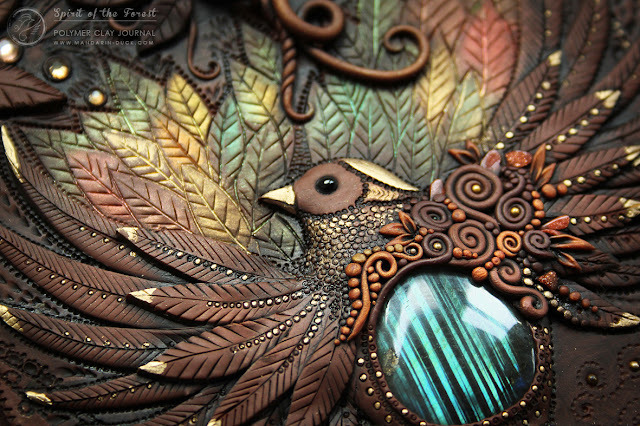 And so it goes that this wonderful highly decorated bird is keeping the image of the forest very close to it's heart. I wanted to ornate the bird's chest with some wonderful swirls, aventurine crystals, little golden dots and curvy outlines. And I also wanted the face of the bird to be very innocent and cute, therefore I used a simplicity trick here. 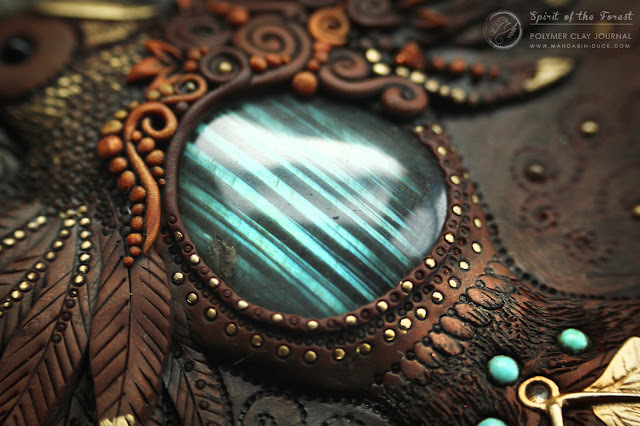 To find a labradorite like this in supply stores is very hard ( at least I am finding it very hard) and so I kept this stone for a very special occasion. 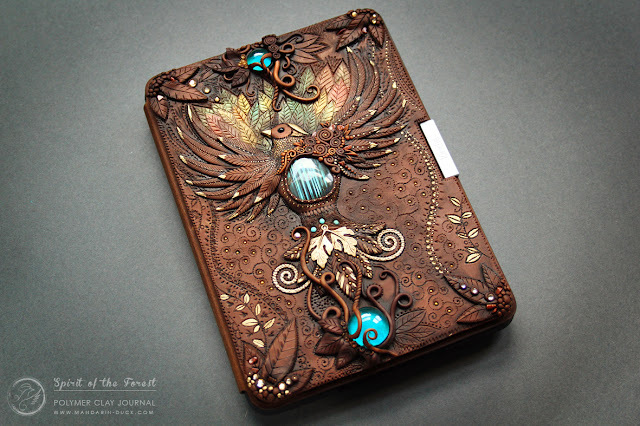 Thanks a lot for checking in :) You can find 10 more photos of this Kindle cover in this JOURNAL GALLERY. Enjoy!